The Google Photo app for Android devices has just received another update that brings even more new features into the mix. After adding the ability to animate videos in the last month's update, Google is now making it possible to created animations even when you're offline. In order to test the new feature you must disable the mobile network and Wi-Fi connections and select between 2 and 50 photos from the gallery. Tap the Create button and the app should do the rest for you. Obviously, you can only choose pictures that are stored on the phone, not in the cloud. Aside from the new functionality, Google also included new shortcuts from the app icon on Android Nougat device. 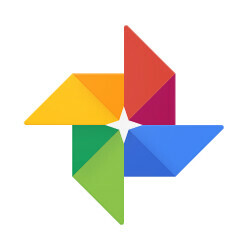 Also, Google Photosusers will now be able to sort photos in albums chronologically or by recently added. A new option that will allow users to reorder multiple items in an album by selecting photos and dragging has been implemented, too. Last but not least, the official changelog mentions that Google Photosusers will now be able to share photos faster. The update is supposed to bring a new sharing experience that allows users to share any contact, email, or phone number right within the application. The new update should be pushed in waves to all compatible Android devices, but you can check Google Play store for the newest version.